The 53 Avenue over Whitemud Drive Overpass was built in 1977 and carries six lanes, including two turning lanes, of traffic over the freeway with sidewalks on both sides. Maintenance and rehabilitation of this structure was completed in 2016 to keep it in a safe, functional condition for many more years. 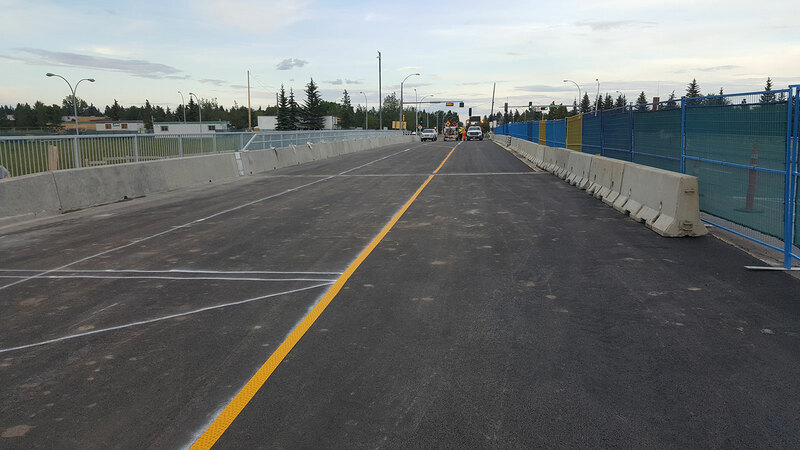 Construction on the 53 Avenue Bridge over Whitemud Drive is complete. Construction on this project finished early and on budget. All lanes are now open for traffic, and pedestrian sidewalks are available. 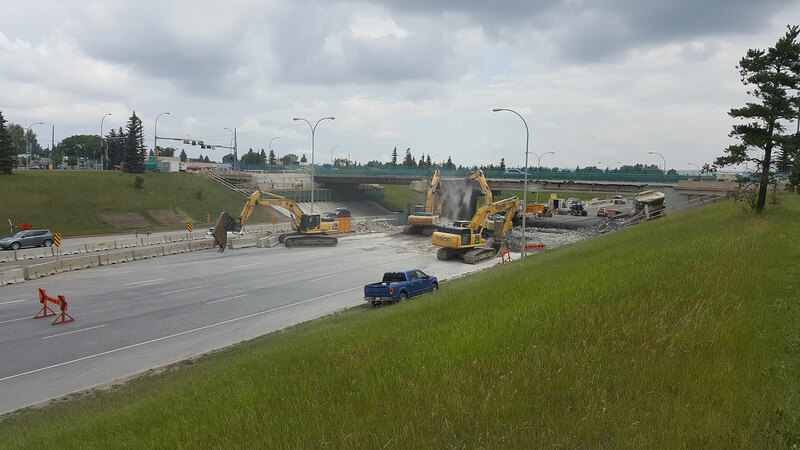 Construction of the 53 Avenue Bridge over Whitemud Drive is progressing on schedule. The rehabilitation of the north half (Phase 1) of the 53 Avenue bridge was completed in mid-July. Rehabilitation of the south half (Phase 2) is in progress, and girders were erected last week. 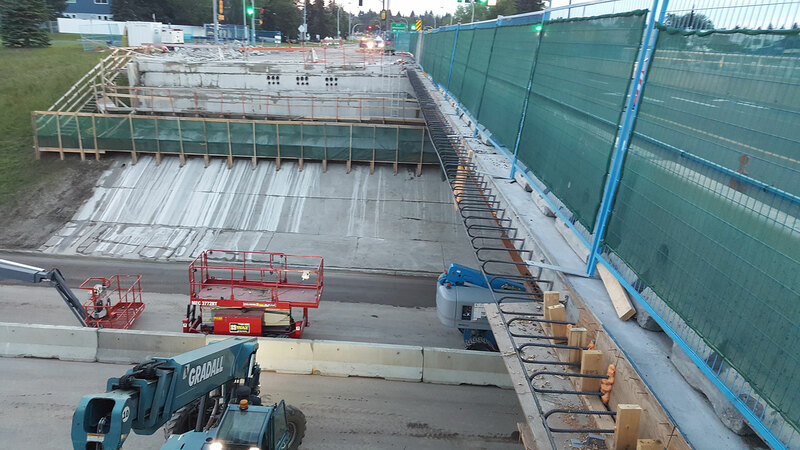 Only intermittent nighttime impacts to Whitemud Drive are expected for the remainder of the project. 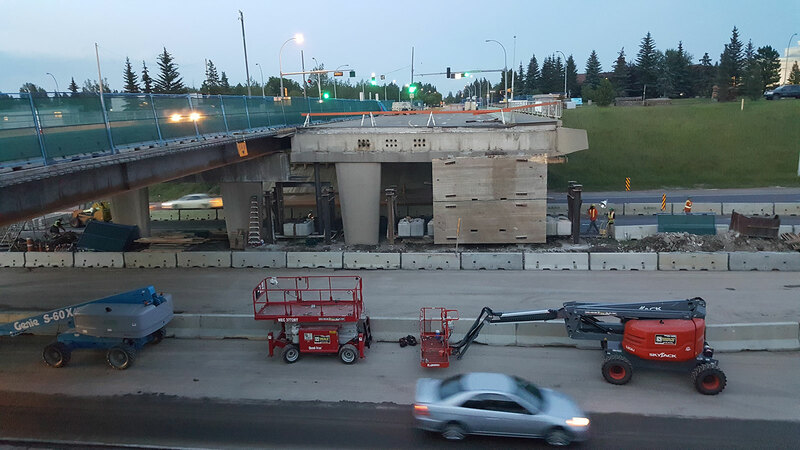 Concrete deck pours – from the last week of August through the first week of September, traffic on Whitemud Drive will be reduced to single lanes in each direction nightly. Removal & restoration of the Whitemud Drive cross-overs – from the last week of September through the first week of October, traffic on Whitemud Drive will be reduced to single lanes in each direction nightly. We expect that the traffic on the Whitemud Drive will be fully restored with original line markings and lane widths in place by the second week of October 2016. A public information session was held on March 9, 2016 at Brookview Community Hall to share information on the rehabilitation of the overpass.